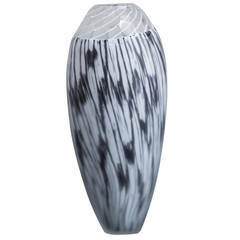 Unique glass vase with unique design. Unique art glass vase from Novy Bor made in the early 1990s. This one of a kind beauty is 15.748 inches and in perfect condition. No damage nor chips.